What Really Made the Phantom of the Opera So Dangerous? How Dangerous Was The Phantom of the Opera? 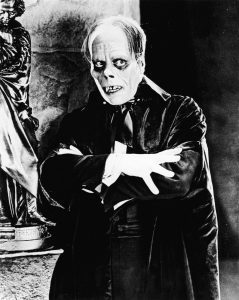 Though it is a tragic story, the phantom of the opera shows how formidable a functionally fit “monster” can be. To be able to lift, run, climb, kidnap maidens, elude and fight police takes a sustained type of strength that most 21st century people cannot even hope to attain. But, I saved you the guess work with my book: Strength-Endurance Secrets: Build an Unstoppable 2nd Wind. Order now and get the FREE Special Report: Setter’s Seven Simple (Herbal) Supplements and learn about inexpensive and free plants that can reduce inflammation and kick-start your energy, concentration and libido.